The history of Kerala begins at 5000 BC with the European contact in 1498 and Vasco Da Gama. The British colonized this state. Kerala has the distinction of being the only Communist state government in India as well as boasting 100% literacy. In 1967, the election of a leftist government began. Today the prominent political parties are the Communist and Congress Party. Tourism is very important in Kerala with is tropical coasts and warm beaches are filled with domestic and international visitors. The exotic backwater tours and ecological tourism are very popular. I am including my post on our experience exploring the backwaters. 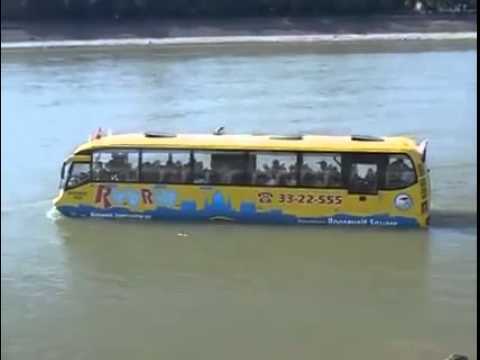 There is no doubt that this water bus will make transportation much more efficient for the Keralinians. I got a chuckle out of the Tourist posters for Kerala with Kerala. . . . God’s Own Country. I guess Communists believe in God and capitalism at least a little! This entry was posted in India, Religions of the World, Travel, Uncategorized and tagged backwaters, blogging, British in India, India, Kerala, tourism, tourists, transportation, water bus. Bookmark the permalink. Nice video clip of the bus Anne. Thanks, Somali. Isn’t it fun?